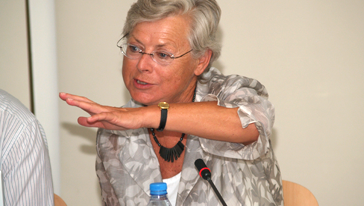 Eveline Herfkens is the founder of the UN Millennium Campaign. In October 2002, then UN Secretary-General, Kofi Annan, appointed Eveline Herfkens as his Executive Coordinator for the MDGs with the mandate to set up and lead the Millennium Campaign. After six years in this role, Herfkens as Founder of the UN Millennium Campaign currently continues to promote the MDGs globally and in Europe for the Campaign as Special Advisor to the UNDP Administrator. Between 1998-2002 Herfkens was the Netherlands Minister for Development Cooperation. Over the last decade, the Millennium Goals have spurred action across the globe. According to Eveline Herfkens many developing countries’ governments have improved their policies and governance; and developed countries have taken some – not enough - steps to increase the level and effectiveness of their aid. Progress across a large number of countries and indicators has been the result. 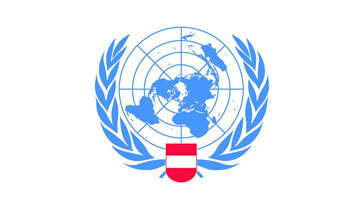 The key achievement of the MDGs is the extent to which they have mobilized public and political sup­port for development. Any post-2015 agreement needs to maintain popular momentum. And, as the goals’ objectives were limited to reducing “by half” or “two thirds”: even if achieved, there is a large unfinished post-2015 agenda. But in the run-up to 2015 we should evaluate how to improve the instruments to achieve the Goals. Three issues deserve particular attention according to Herfkens: focus more on inequality and poverty focus; introduce targets on climate change; rich countries must do their homework in terms of development aid delivery.